If you have a website for your practice, you already know the importance of online visibility. But what good is your website if a client calls to make a booking and the clinic is closed? Having online booking means that your virtual doors are open to your clients 24/7 without you having to pull a late shift on a Monday evening or work long weekends! The best news? You don’t even need a website for our Online Booking service! We’ll create a page that you can share with your clients where they can make their bookings! Easy peasy! If you do have a website you can integrate Online Booking for a seamless experience for your clients! Monday mornings at 9 am, you’ve got voicemails from the weekend, booking enquiries in your email and the phone is already ringing off the hook! It’s hard to know where to start and when you’ll be caught up! Your receptionist spends most of the day just working on the backlog or even worse, if you’re on your own, you’ve spent the day trying to get back to people in between other treatments! Online Booking can take some of the load off! 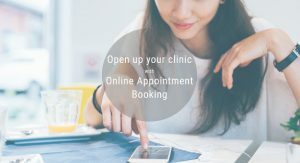 Allowing clients to book via your website lets them choose their treatment, location, practitioner and appointment slot all without you having to lift a finger! Just sit back and watch the bookings roll in! What is the first thing you do when you need to find a new service or product? That’s right, you google it! Even when we get a recommendation from a friend, the internet makes it so easy to check things out, look for reviews and just gather more information, it’s likely that your potential new clients will end up on your website at some point before they make a booking, make it as easy as possible for them to convert their interest into an actual booking by providing them with a booking method there and then! There’s nothing worse than a no-show, unfulfilled bookings cost you time and money. We’ve had conversations with our clients who want to use Online Booking but fear the worst when it comes to DNA’s! So what’s the answer? Online payment! By requiring your clients to make a payment at the point of booking you instantly reduce the chance of a DNA because nobody wants to waste money! 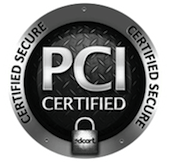 We offer two secure payment options that will allow you to secure your online bookings, with transaction fees starting as low as 1.5% per transaction! 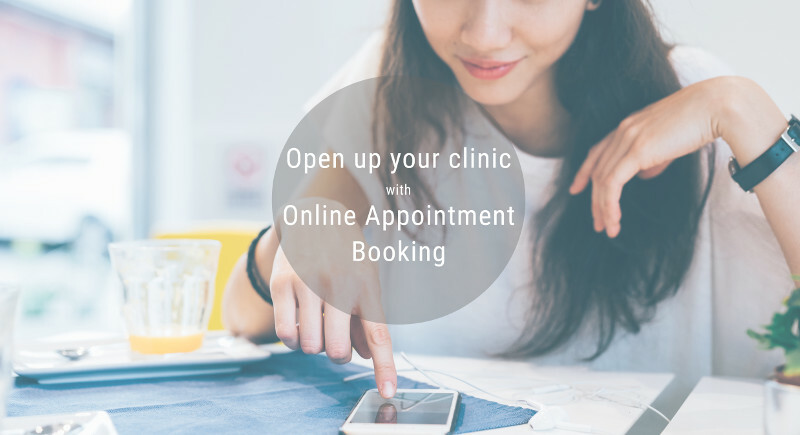 Online Appointment Booking starts from just £20 per month and for the four reasons above and many more, we truly believe it’s a time-saving digital tool that your practice shouldn’t be without! If you want some more information on our online booking service and how it could transform your clinic, just email sales@rushcliff.com. One Response to Four reasons Online Booking is good for business!